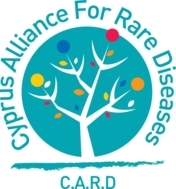 On March 9 the Cyprus Alliance for Rare Disorders hosted a National Conference on the scope of the EUROPLAN RD-ACTION. These national conferences are organised in many European countries as part of a coordinated and joint European effort to foster the development of comprehensive National Plans or strategies for Rare Diseases addressing the unmet needs of patients living with a rare disease in Europe. The meeting looked at the National strategy on Rare Disorders and identified 5 key pillars for optimal response to the community issues: Prevention and timely detection, Diagnosis and Treatment, Research, Recording Rare Disorders, and Supporting Welfare and Integration, all of which will be represented by community members, mostly patients and physicians. Maria Charalambous, leader of the national PID patient group, represented the Research pillar and gave a presentation about her involvement in medical research. The meeting was well attended and fruitful. Many physicians and patient representatives, as well as Eurordis’ Chief Executive Officer, Yann Le Cam, took the opportunity to share ideas and plan future steps.